We consider ourselves to be one of the top experienced Plastic Fabricators. 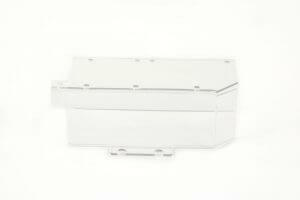 Sentinel Plastics has many years under its belt as Plastic Fabricators. 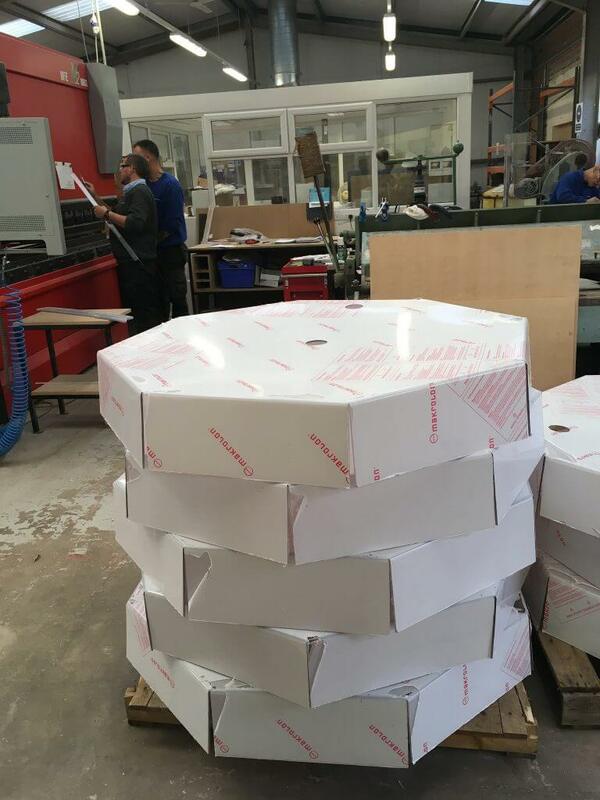 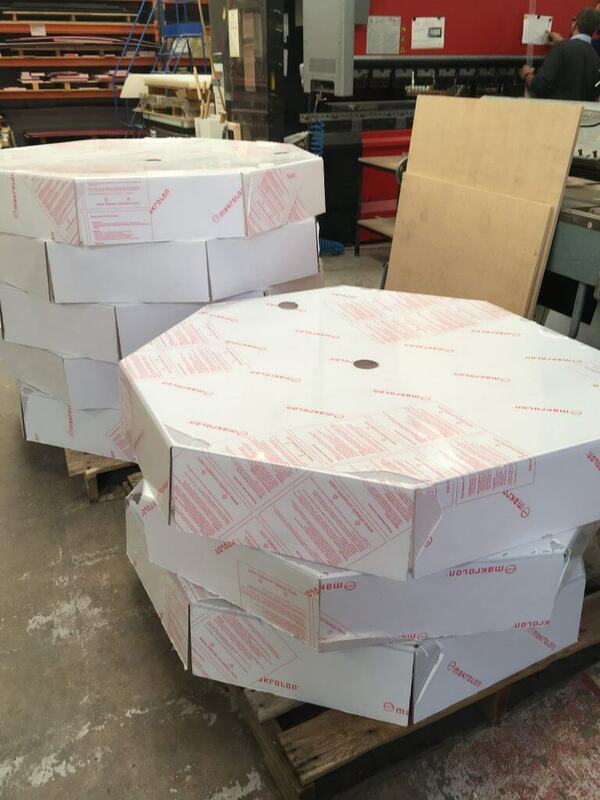 Customers know, we have highly experienced staff with up to date fabrication capabilities, gives us the ability to manufacture parts from simple to highly complex shapes. 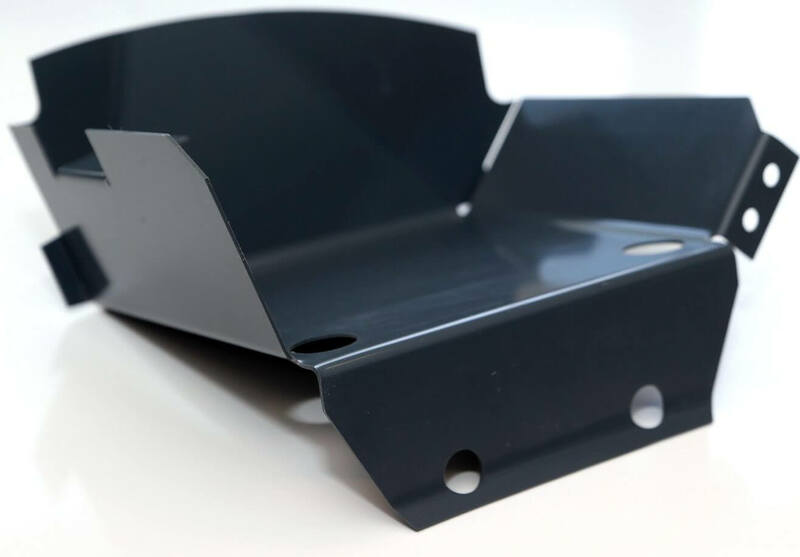 Important to note, our Plastic Fabrication services are available on the vast range of Engineering and Insulation plastics in today’s market. Most noteworthy though, is this is all in-house plastic fabrication, and not sub contracted out. A diverse range of plastic shapes can be produced by our experienced plastic fabricators with rapid delivery. 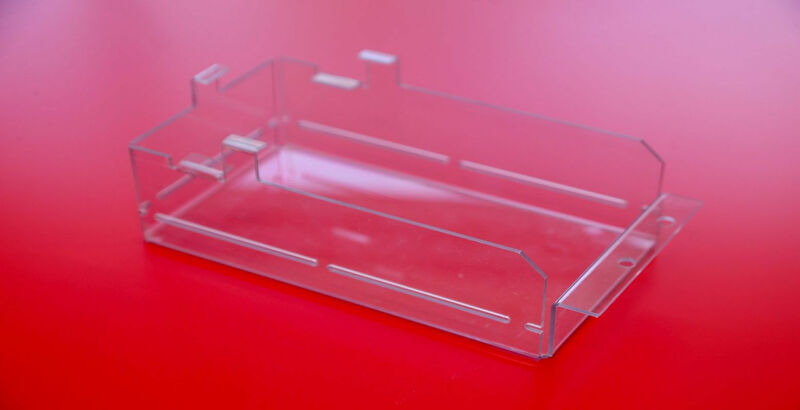 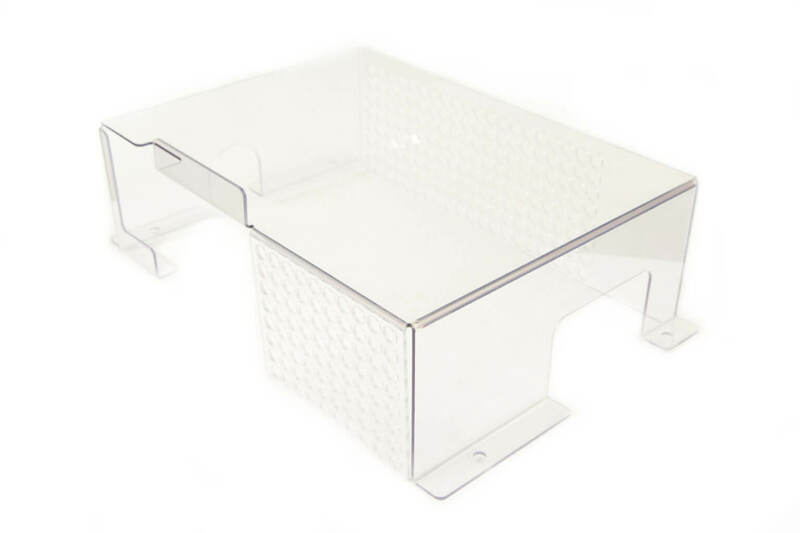 Reliable and specialised Plastic fabricators, in Perspex acrylic, PETG and polycarbonate. As well as all types of engineering plastic materials from PVC, Polypropylene, polyethylene to ABS and much more. 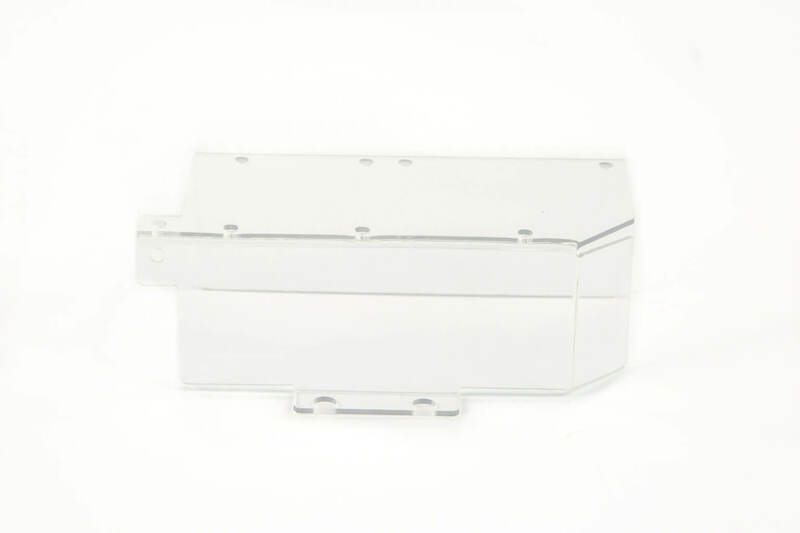 Especially relevant is that Sentinel Plastics Ltd offers a comprehensive machine shop to manufacture components and parts to your exact requirements. 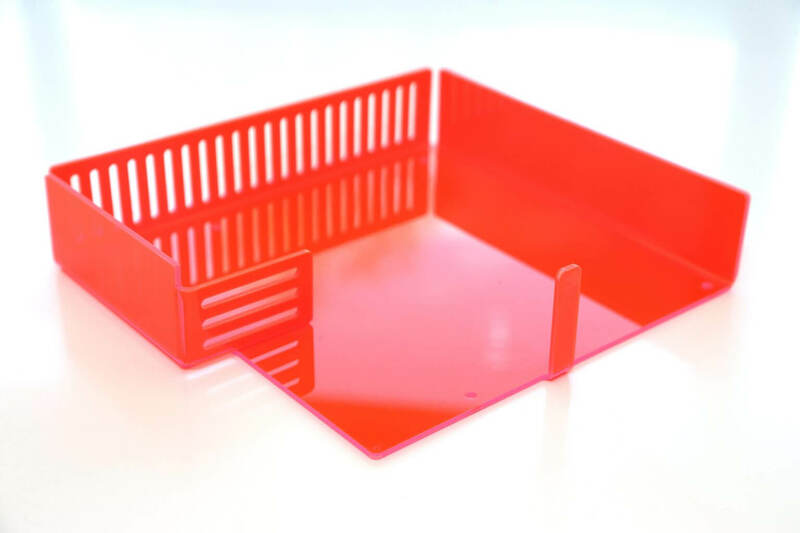 While most Companies Plastic Fabricators can concentrate on specific types pf plastics, or methods of manufacture. Notably though, Sentinel is one of those unique Companies Machining Plastic Shapes in all plastics and using a variation of methods. Without doubt Sentinel Plastics fabrication capabilities takes many forms. 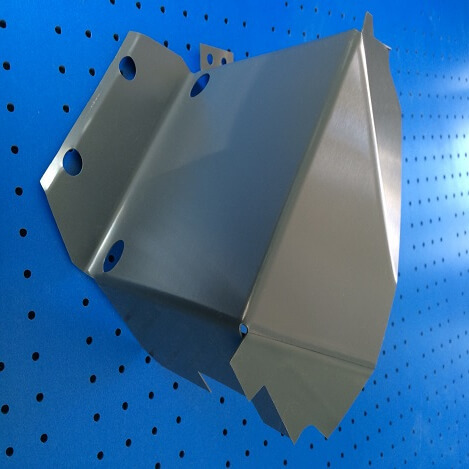 These forms fall into many and varied material brackets. 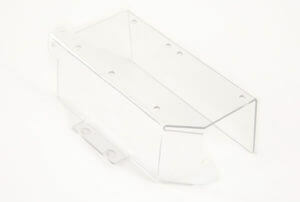 While being able to Weld and bend Polypropylene, PVC and Polycarbonate. 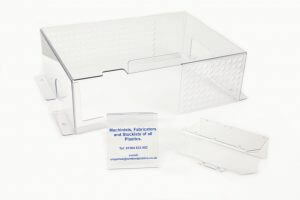 Adhesives and Folding/ Plastic Line Bending other materials such as Perspex, ABS, PVC and PETG. Assembly also takes place with fixings or adhesives of Polycarbonate, PETG, Polypropylene and PVC. 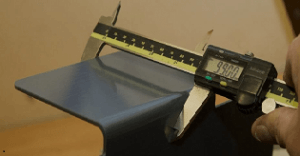 Capabilities include, plastic bending, combined with skills which have been developed through many years of experience. 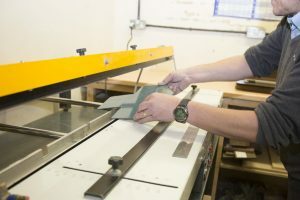 Most noteworthy, our experienced Plastic Fabricators Division can cut, bend, glue, weld, saw, route, assemble, and polish just about any type of polymer to create virtually any product. Bespoke projects require extra attention. 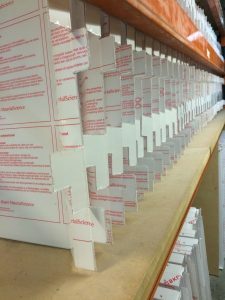 Our technical knowledge and innovative processes are there to assist all the way from concept and design through to manufacture. 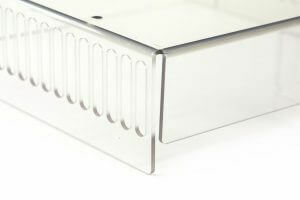 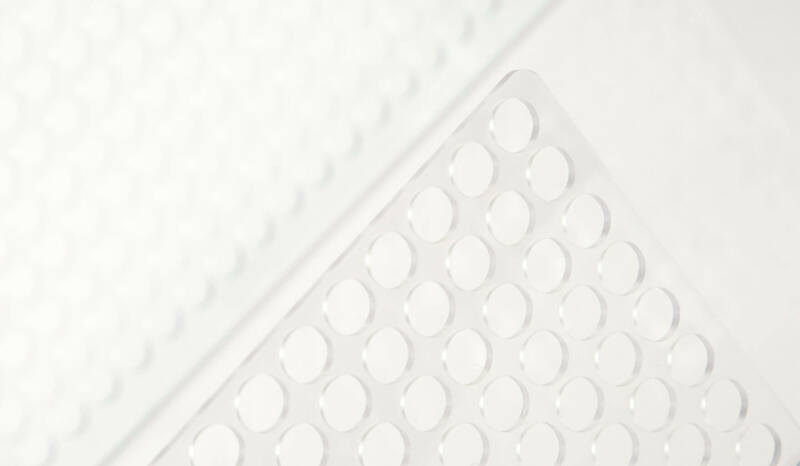 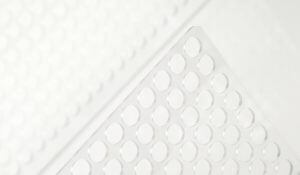 Be it simple Perspex panels or polycarbonate machine guards through to complex plastic fabrication. 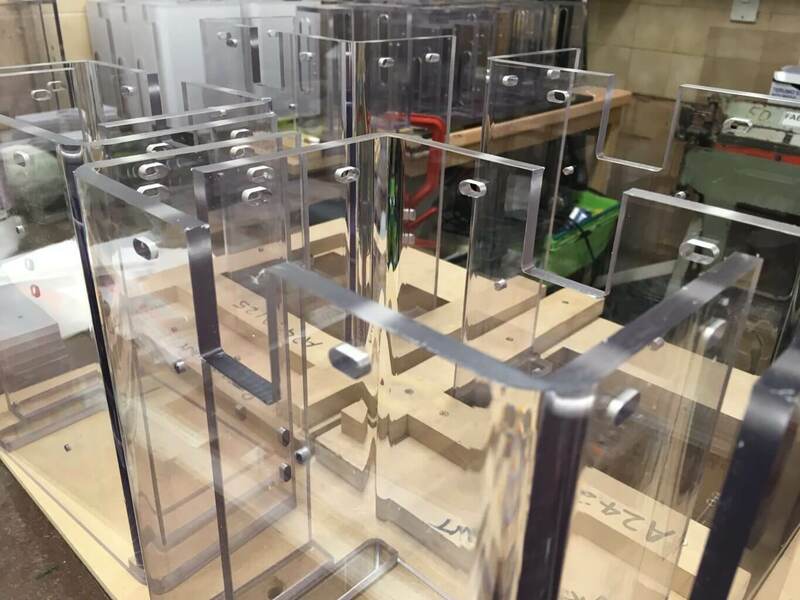 Maybe Pride and dedication makes Sentinel a respected manufacturer of high-quality Guards, Screens, fabricated components, used in a wide variety of industries. 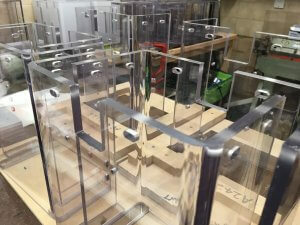 We are a respected manufacturer of high-quality Customer Specification Parts which includes Guards and Screens. 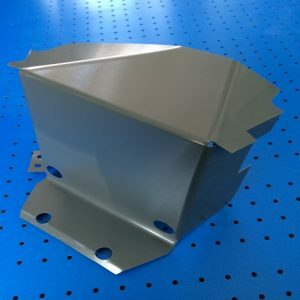 Plus many more variations of machined and fabricated components used in a wide variety of industries, all made from the huge range of industrial plastics available in today’s market. Importantly, we are skilled at Plastic Bending guards to customer specification. 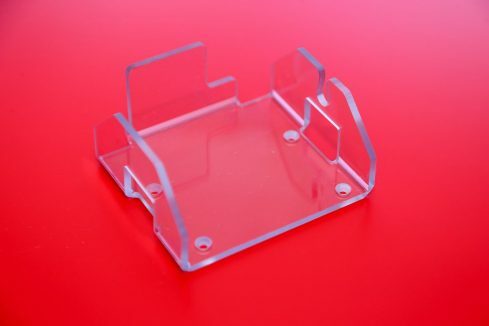 We produce machine guards, finger guards, guide rails and safety guards from a wide range of plastic grades. 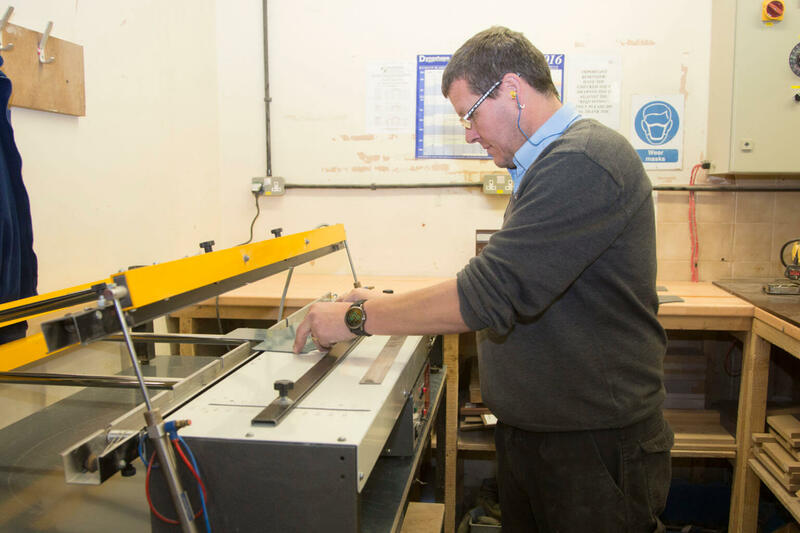 Consequently, our emphasis is on the importance of offering a comprehensive machine shop, able to manufacture components and parts to customers exacting requirements. 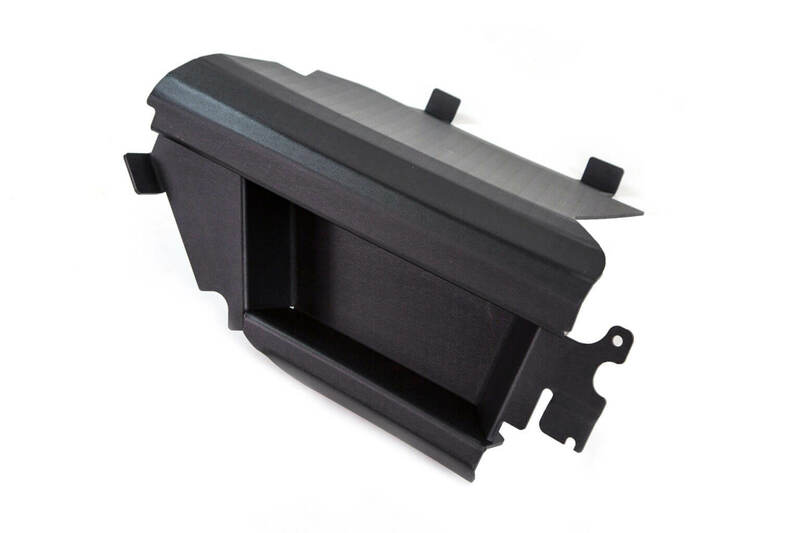 So, unlike most others, only Machining specific Plastics, Sentinel’s comprehensive knowledge on all types of plastic methods of manufacture. 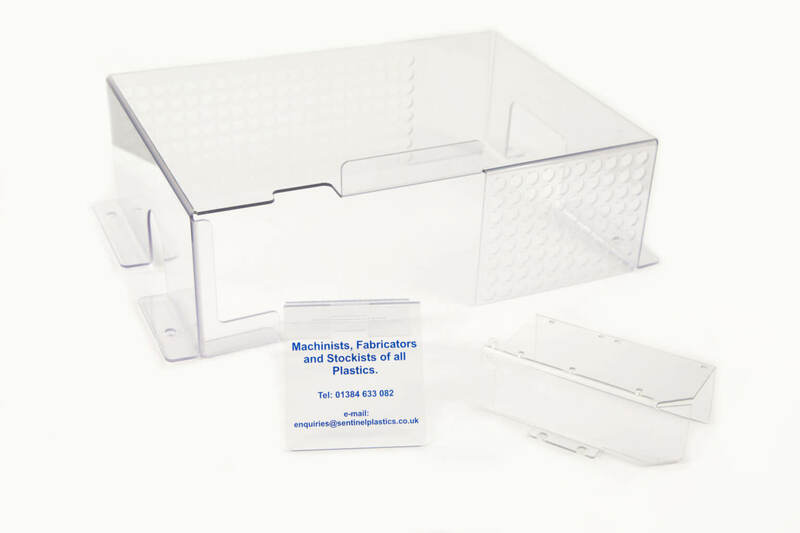 Finally here at Sentinel Plastics Ltd we are versatile and very experienced plastic fabricators. Why not call us, for any requirements we aim to be as helpful as possible. 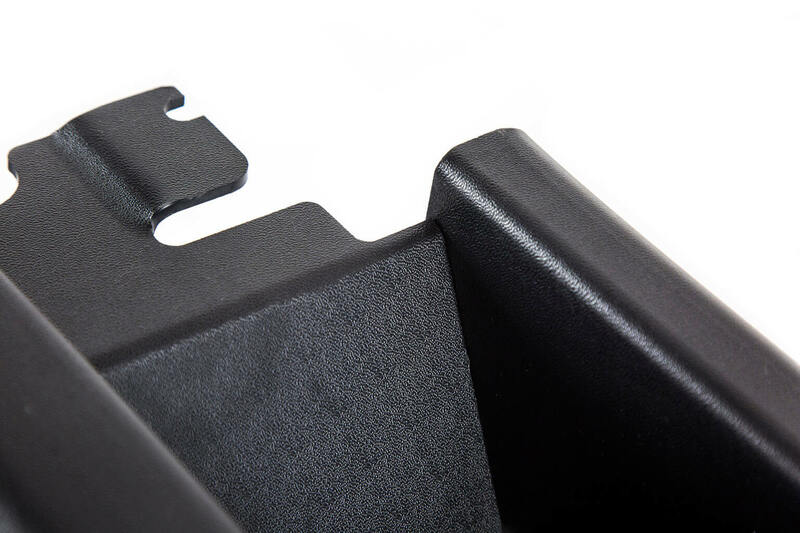 When molding or extruding is not a viable option, then we can help! 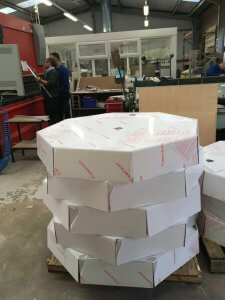 Call us on 01384 633082.